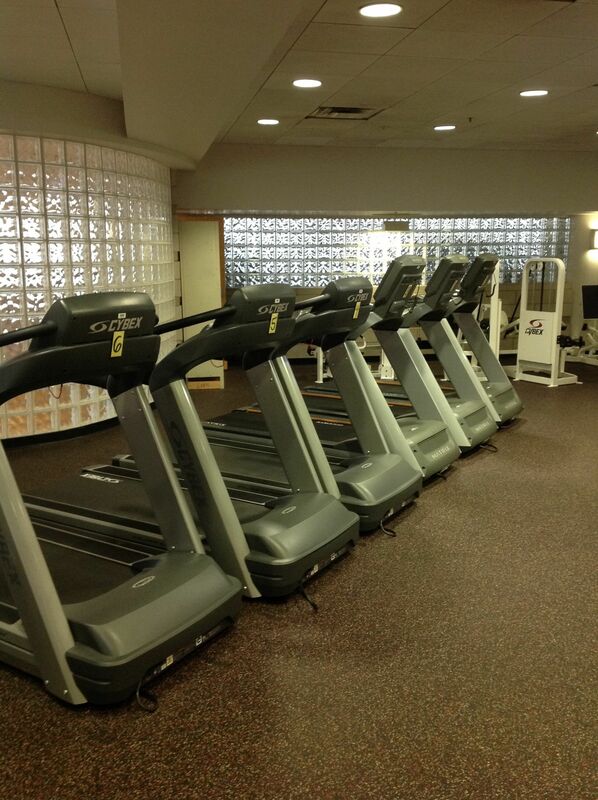 Elliptical trainers, treadmills, stationary bikes, recumbent bikes and stair climbers comprise the complete line of cardiovascular equipment at the Health Science Center (HSC) Fitness Center. The center also features a complete line of weight stack and free weight lifting equipment. Group fitness classes are held in the group fitness studio most days at noon and early evening. This year will feature a new 6:30 AM Boot Camp style class on Monday and Wednesdays. Locker Rooms with lockers and individual showers are also available. Students are encouraged to utilize the Student Recreation Center on weekends. Membership is required for faculty and staff at the Student Recreation Center.